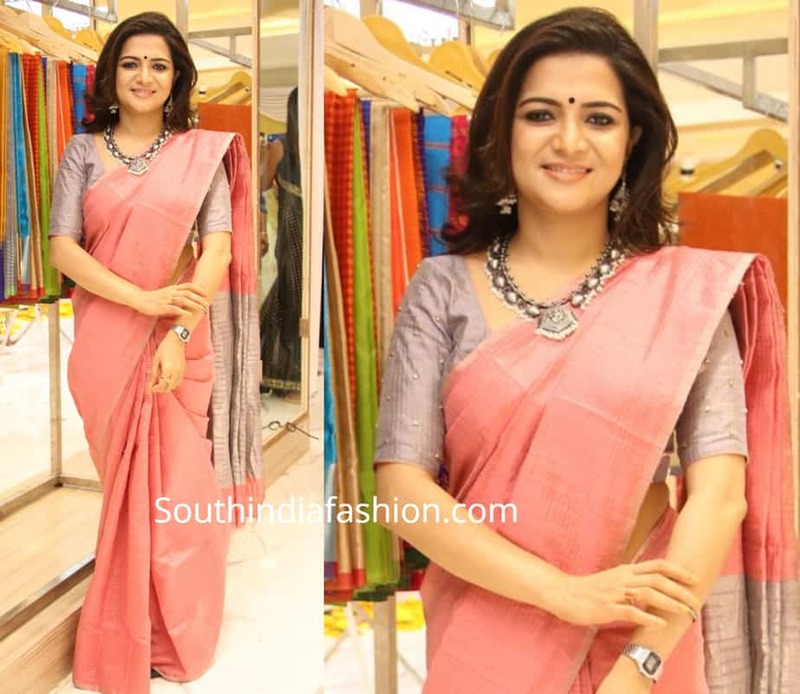 Celebrity Sarees Dhivyadharshini’s Saree Look! Anchor Dhivyadharshini attended AA Guru Silks launch event wearing a peach color cotton saree paired with contrast grey elbow length sleeves blouse. Silver jewelry and wavy hair complemented her look!